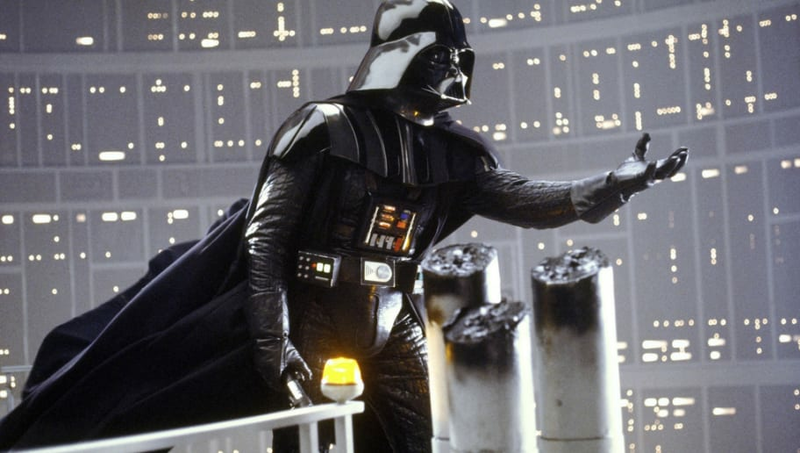 The ominous—and iconic—voice of Star Wars villain Darth Vader could have sounded a lot different, had George Lucas decided to go another way. Oscar-nominated actor James Earl Jones—who made his first film appearance as Lt. Lothar Zogg in Stanley Kubrick's classic Dr. Strangelove or: How I Learned to Stop Worrying and Love the Bomb (1964) and went on to star in such beloved features as Field of Dreams (1989) and The Sandlot (1993)—is the voice of everyone's favorite villain in the Star Wars trilogy, which includes A New Hope (1977), The Empire Strikes Back (1980), and Return of the Jedi (1983). "I understand that George did contact Orson Welles to read for the voice of Darth Vader before he contacted me," Jones once shared. "I was out of work, and he said, 'Do you want a day's work?'" While Welles playing Darth Vader would have also been memorable, we're glad Jones was able to join the galaxy far, far away.